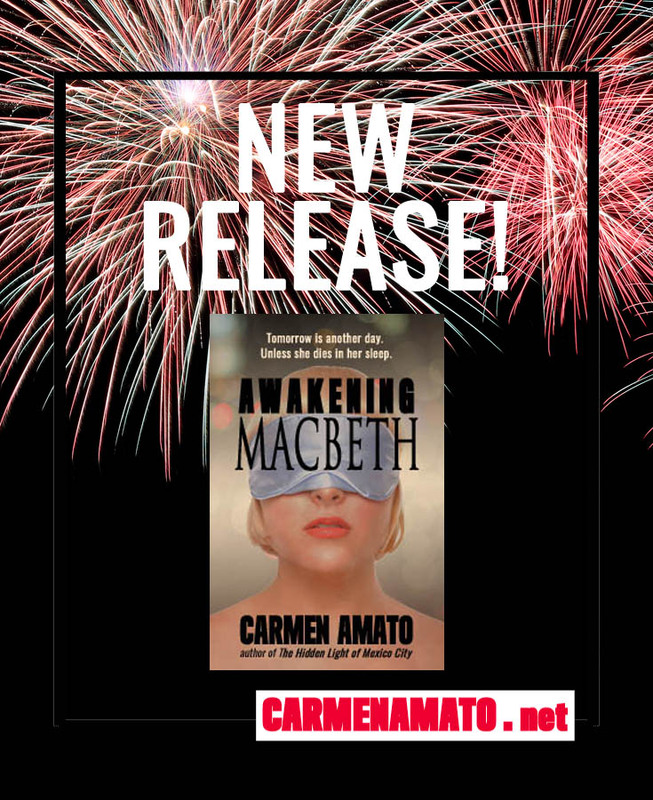 AWAKENING MACBETH is out now for kindle readers, with the paperback coming 10 January! It’s a romantic suspense thriller with a paranormal twist set in Charlottesville, Virginia and Edinburgh, Scotland. For those who know me best for the Detective Emilia Cruz police procedural series set in Acapulco, AWAKENING MACBETH is quite a departure. I actually developed the premise after writing romantic thriller THE HIDDEN LIGHT OF MEXICO CITY, but before penning CLIFF DIVER, the first Emilia Cruz novel. AWAKENING MACBETH sat in a drawer for several years, as I thought the best way to introduce readers to my writing was through a mystery series. After KING PESO, the fourth Emilia Cruz novel, was released last August, I felt the time was right to bring out a second romantic thriller. The premise of AWAKENING MACBETH is that when brokenhearted, the soul wanders in search of answers. That restlessness takes place in dreams, where evil stalks in search of souls to steal . . . I attended graduate school at the University of Virginia in Charlottesville, Virginia. I fell in love with the school’s traditions and ties to Thomas Jefferson, who founded the University. The main character of AWAKENING MACBETH is Dr. Brodie Macbeth, a history professor at the University of Virginia who is a popular academic and author–as well as former college basketball star. She’s successful, but her life has been narrowly defined for many years and she’s very emotionally reserved; the result of a strict upbringing by her father, a noted historian and the head of her department at the university. The framework of Brodie’s life is blown to smithereens when her father unexpectedly kills himself hours before giving a guest lecture at Harvard. Brodie is left with a very strange inheritance and a million questions. That’s when the nightmares begin. In her sleep, someone with diseased eyes threatens to murder her unless she tells her father’s secret. There is no secret. But the dreams are so terrifying Brodie is convinced she could die. On a trip to Scotland to visit her father’s sister, Brodie meets Joe Birnam, a decorated Iraq war vet. 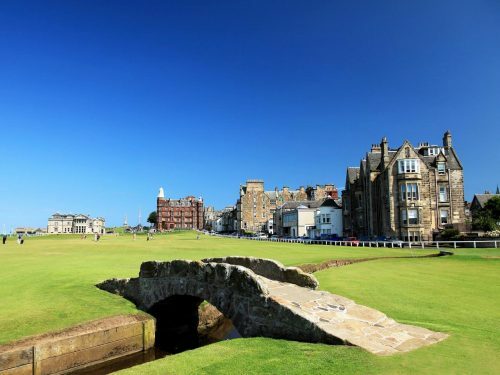 I can’t tell you anything more than that, except that their first date takes place at a golf resort outside Edinburgh. We stayed at such a place years ago. The rolling hills and uncoiling mist made for striking memories which I’ve tried to caputre in the book. 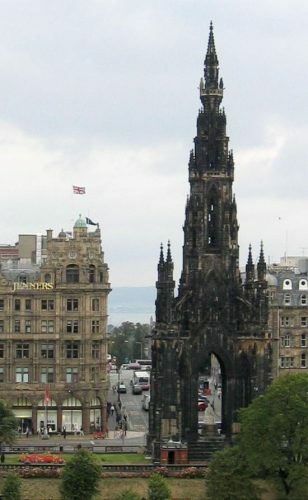 Edinburgh itself is a magical place and it is no wonder that J.K. Rowling of Harry Potter fame, makes her home there. The city is full of turrets and tiny alleys, heroes and history. Anyone with an ounce of creativity can’t help but feel the imagination’s tug. Photograph taken by Michael Reeve, 15 September 2003. Released under GFDL by the artist. My grandmother always said never wake a sleeping child too fast because the soul wanders while we sleep and needs time to return before we’re fully awake. When I combined my grandmother’s words with the saying that the eyes are the windows of the soul, the result gave me chills. I knew it would be a great story. The hardest thing was the concept of real evil able to threaten the immortal soul. I hate movies like The Exorcist and had to stop writing several times, too shaken to go on. But evil is out there and this is my interpretation of it. Love and mystery are the perfect combo. Each needs a bit of the other in a book, just like in real life. Romantic thrillers build a relationship, then test it. Can it hold up in a storm? The more exciting the storm, the better. 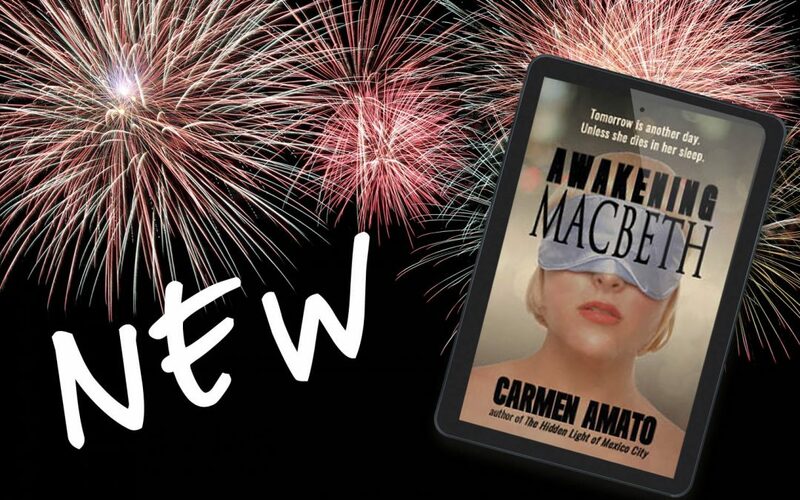 If you love a good romantic suspense tale, or are intrigued by the fight against evil as depicted in the book, I hope you’ll download a copy of AWAKENING MACBETH and stay up all night reading it! Remember to leave a review on Amazon. You’ll not only help out this author, but help others make intelligence choices about what to read next. Thank you!